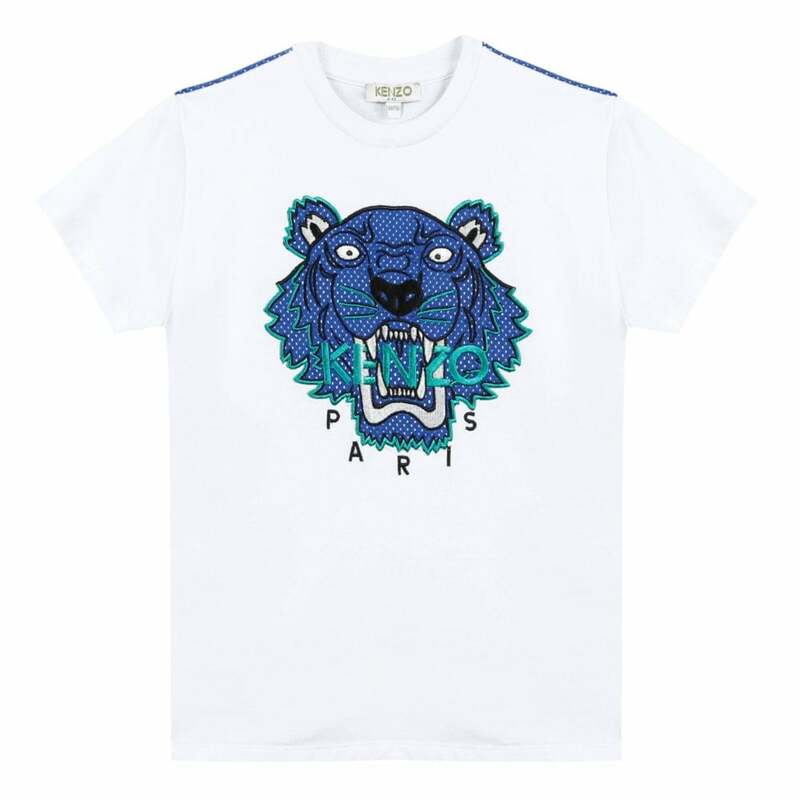 This Kenzo Kids JB 4 Tiger Face Mesh T-Shirt is 100% cotton and is white in colour with navy panel detail on the back. It has a crew neck and short sleeves. Kenzo Kids branding appears on the chest in navy and blue with the bold Maxi Tiger logo in mesh.